What was the secret of their wealth and power? Why did the pope and the king of France act to destroy them? The Knights Templar were founded on Christmas Day 1119, on the very spot in Jerusalem where Jesus Christ was crucified. A religious order of fighting knights, the Templars defended the Holy Land and Christian pilgrims in the decades after the First Crusade. 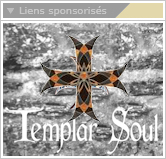 Legendary for their bravery and dedication, the Templars became one of the wealthiest and most powerful bodies of the medieval world - until they were condemned for heresy two centuries after their founding, when the order was abolished and its leaders were burned at the stake. 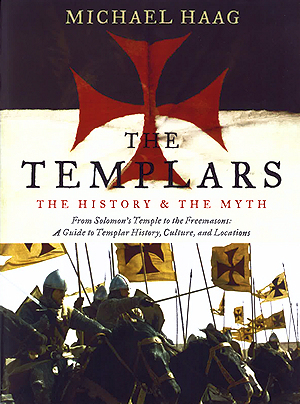 In "The Templars", renowned historian Michael Haag investigates the origins and history, the enduring myths, and the soaring architecture of an enigmatic order long shrouded in mystery and controversy. The hand of the Templars, many believe, can be found in everything from Cathar heresy to Masonic conspiracies, and the Knights Templar still inspire popular culture, from Indiana Jones to Xbox games, to the novels of Dan Brown. Historian, writer, and photographer Michael Haag has written widely on the Egyptian, classical, and medieval worlds. Born in New York City, he is a graduate of University College London, and he holds a B.S. and an M.S. in anthropology. He has broadcast for the BBC, and his journalism has appeared in major newspapers and magazines throughout America, Great Britain, and Egypt, including The Daily Telegraph (London), The Guardian (London), The Sunday Times (London), The Observer (London), the Los Angeles Times, and Vogue, among many others. Haag has traveled widely across the Mediterranean and the Middle East, where he has visited every Crusader castle of note. He is the author of Alexandria: City of Memory, a definitive study of Cavafy, Forster, and Lawrence Durrell in the city; the U.K. bestsellers The Rough Guide to Tutankhamun and, The Rough Guide to "The Da Vinci Code" (of which he is the coauthor); and several travel guides to Egypt. He lives in London.